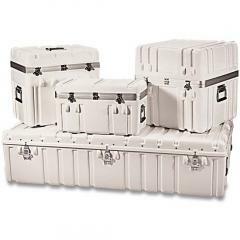 At justCASES, our Parker brand cases are valued for the extremely wide array of sizes they provide, with cases in almost every conceivable size, shape and style. � Roto-Tote Cases feature extending handles, wheels, and rugged hardware. They are frequently used for tool kits and other heavy duty use. � Parker Cases are available in more sizes than any other case line. We carry over 270 different cases in this line alone! These cases are available with or without wheels, with hinged or removable lids and in a wide variety of shapes and sizes.